According to the U.S. Environmental Protection Agency, the average passenger vehicle gives off 4.6 metric tons of carbon dioxide each year. Every morning when commuters roll down the highway to their jobs, their cars emit about 404 grams of the greenhouse gas per mile. Many businesses have committed to doing something about this problem, encouraging employees to trade in their internal-combustion engines for zero-emission electric vehicles by offering electric vehicle charging. Companies that provide workplace EV charging show that they think about the future of their business and the world. They go above and beyond to add convenience for employees, benefit the environment and meet goals for sustainability. That kind of leadership gets noticed, especially when businesses take all the steps to earn a certification for Leadership in Energy and Environmental Design. A workplace that has chargers onsite is likely to attract some awesome new employees. A lot of highly qualified workers drive electric cars and want to work for environmentally conscious companies that take their stewardship seriously. Cutting the emissions from the daily commute can be a powerful way of boosting marketing and recruitment efforts. Here's a simple equation: The easier it is for employees to get to and from the office, the more time they spend at their desks, focused on their job responsibilities. That's one reason why many workplaces offer benefits for transit or incentives for carpooling. Workplace charging is another chance to simplify the commute, especially if you live in an area that offers special privileges for EV drivers like carpool lane access. Business owners and managers might like the idea of EV charging stations but worry about the expenses involved in buying equipment and providing energy. Suggesting equipment that fits your workplace's needs and a cost-effective policy for managing usage can go a long way to relieve those concerns. Explore charging solutions that make sense for your electrical infrastructure and how many workers are likely to use them. 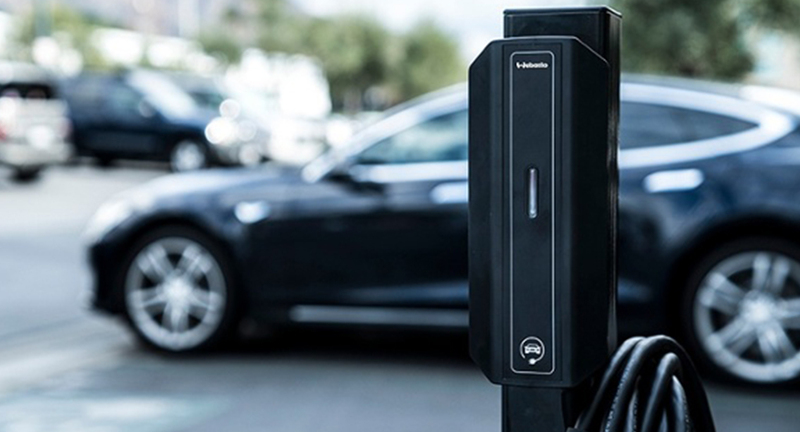 Larger companies may want a network-connected fast-charging station capable reaching 80 percent charge in under a half hour, but others can achieve great results with simpler equipment. Businesses save by implementing Level 2 charging stations capable of refilling a battery after the morning commute within a few hours. Many workplaces handle the costs of electricity and maintaining equipment by billing either according to each worker's energy use or a flat monthly rate. There are big advantages to workplace charging for both employees and leadership. When you make the case for installing EV chargers, you can add convenience to the commute and make a difference in the future of your company.